The follow up to The Bourbon Kings was so excellent, get ready for all the twists and turns and drama in The Angels’ Share! This was fantastic! It’s such an engaging saga full of twists and turns. It's drama filled and emotional with these extremely detailed and complicated characters. Right from the beginning I was pulled in and I had a really hard time putting it down. Awesome read! There are so many characters and multiple storylines happening, I loved it all. It was really entertaining! I had a ton of questions going in and I now have a million more so I know this story is far from over. It was told from multiple POV's and because of that, the story moved along at a fast paced but I never felt it was rushed. It just kept me excited for more because I couldn't wait to find out what character we were going to hear from next. It was like everyone came out to play as characters that were introduced in the previous story really get a full voice in this one. It was just really exciting to read, I was on the edge of my seat, I couldn't wait to find out what happened next. And since not all those stories were concluded, sign me up for the next book now! This is night time drama at its best! I loved seeing the close relationships of the Baldwine family grow and heal. It was nice to see where Lane and Lizzie are now. I really enjoyed all the dynamics of the different relationships between family and friends. For some there is true growth and healing, and owning up to responsibilities to make things right. I absolutely adored Edward in this and loved seeing his changes come about. There was just SO MUCH involved in this overall story. The drama, the turmoil, the tension, but there was love and companion, and emotion. It was engrossing! The writing was so great. I was fully invested the entire time. I thought there was a nice recap throughout to get a refresher from book one to keep you up to speed. I think there's real depth to the characters that make you really feel for them. There are some awesome dislikable people too. Which seems weird to say but I love a well written bad guy. You know it's good when you scream at your Kindle because of their actions. 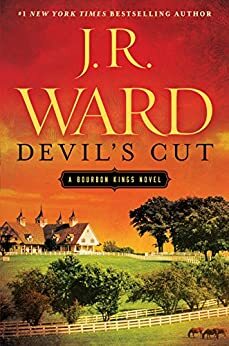 Another amazing story in The Bourbon Kings series. Bring on the next one! I need more!